Solutions Journalist. Content Creator. Literary Writer. An award-winning online magazine featuring global artists using the arts for social change. Yet, to read the statistics about gun violence in America is to read about a gun culture dominated by men. For women, however, the stakes are just as high—even deadlier. Now, more than ever in our country, gun violence against women and girls has reached new heights. It is undeniably a health crisis. The 10 multidisciplinary women artists in the OF NOTE’s The Gun Issue engage the gun as an art object in their artistic practices. In doing so, they confront the infiltration of guns in our day-to-day lives—the gratuitous violence meted out by femme fatales in television, film and gaming, the marketing of real pink guns to girls, the faulty narratives equating gun possession with women’s empowerment, and the eroticization and sexualization of the gun-wielding modern woman as the epitome of desire and seduction. While many employ the burqa as fodder for debate, the artists we’ve selected for The Burqa Issue use their creative voice and art practice to examine the complicated experiences of the women who actually wear the burqa—by choice or by force. These multidisciplinary global artists employ the burqa, actual and symbolic, in their photography, documentary film, poetry, graffiti, street art, murals, sculpture and painting, to trouble our perceptions. Migration is perhaps the defining movement of our time — for both the ones who leave and the ones who are left. Liminal Space brings together artists of Guyanese heritage, who via photography, painting, sculpture, installation, video, textile and mixed-media, bear witness to what drives one from their homeland as well as what keeps one psychically tethered to it. “Liminal” from the Latin word limens means "threshold”— a place of transition, waiting, and unknowing. In tandem, the artworks in Liminal Space engage hard truths of a country defined by constant departure and deemed “a disappearing nation.” Yet, the works offer restorative narratives of why this homeland is loved. Etched out in the artists’ visual narratives are tensions conjured up when one floats in liminal space — the land lived in and the land left behind. Un | Fixed Homeland brings together an intergenerational roster of thirteen emerging and established Guyanese artists who, via photography and photography-based art, examine the complex relationship to "homeland." These artists explore how a "homeland" can be both fixed and unfixed, a constantly shifting idea and memory, and a physical place and a psychic space. 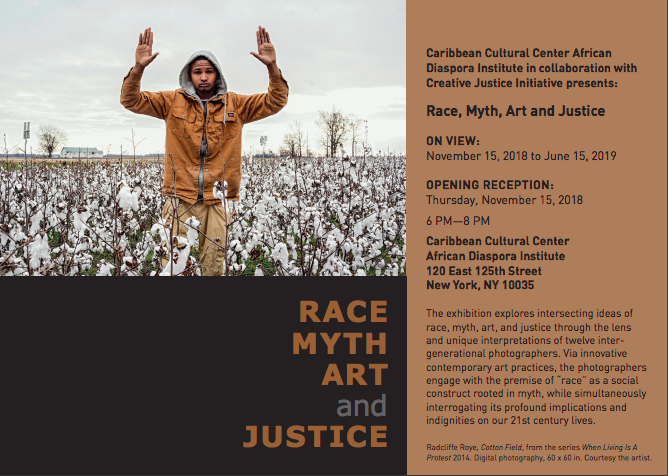 The exhibition's title reflects the emergence of the Caribbean diaspora in metropolitan cities around the world and speaks to what has become the defining global movement of the 21st century—migration.